We have some new insects on the elephant food plant in the back yard. They are oval and covered with white wax. Do you know what they are? These rover ants know what the white insects are: a source of honeydew. 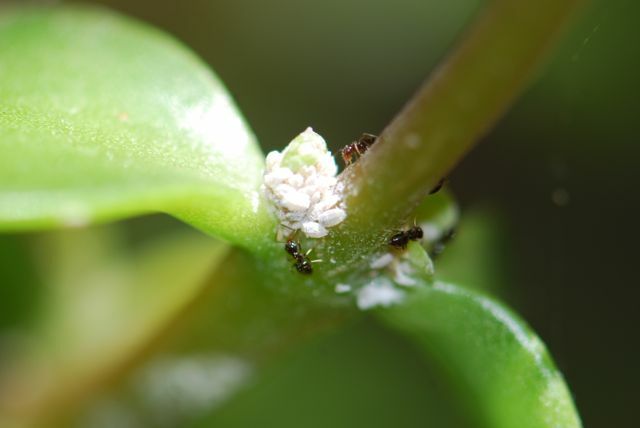 The ants will defend the white insects and move them around to better sources of food. The white insects are mealybugs. The two under the ant have just molted, shedding their waxy coats. Can you see the shed exoskeletons towards the lower end of the pile (they are open at the back)? 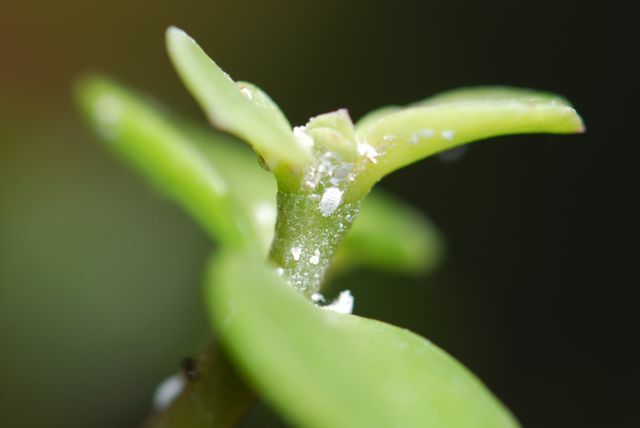 Seems likely the mealybugs are most vulnerable right after molting. 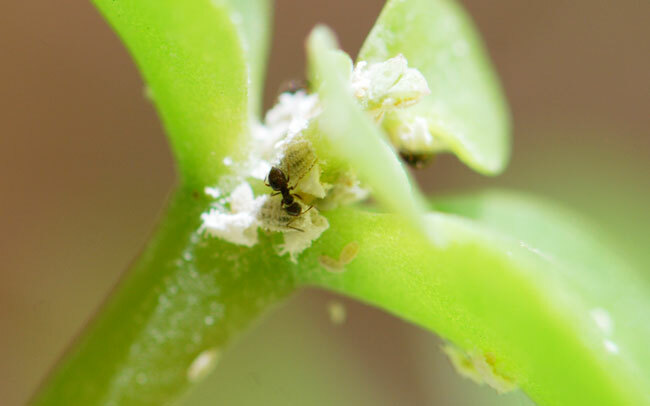 Have you ever watched ants tending mealybugs?